In the heart of the CBD you’ll find the sleek and cool Mister Close. 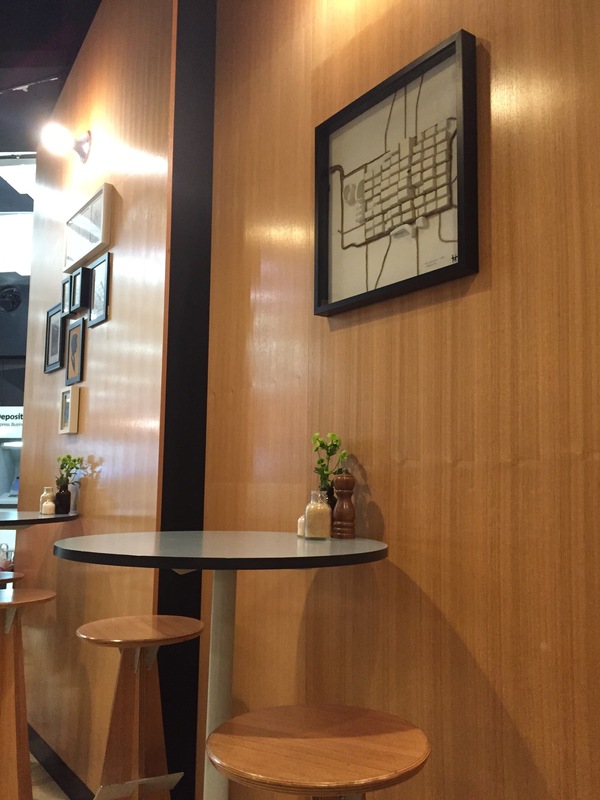 The cafe is a completely unified design and space, your eye flows through the space, catching on little delights. 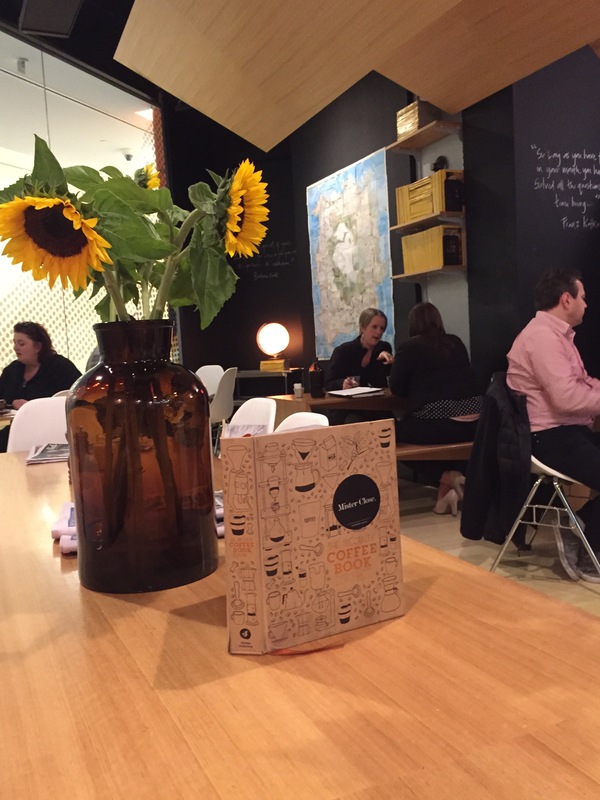 There’s sunflowers, works of art that spring from the wall and the Victorian Coffee Book which every Melbourne coffee snob should have in their collection. 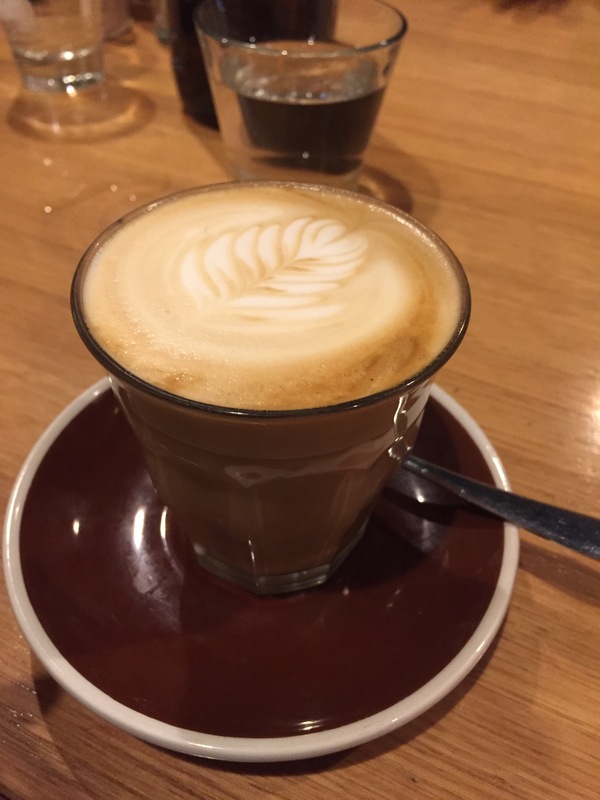 We found Mister Close’s coffee to be creamy, pleasantly light and subtle. It didn’t have the knock out body Melbourne coffee is known for, but it was a nice brew nonetheless. 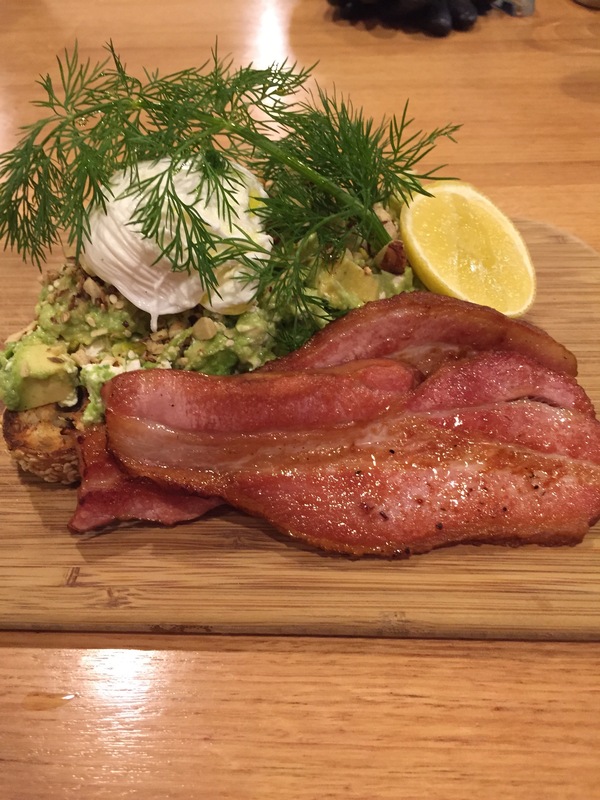 Our first dish was the smashed avocado to which we added bacon and egg, because everything can be improved with bacon and egg. It was all nice, there were great hunks of bacon and a nice crunch and mix of textures. While it was polished and a great concept, the dish was good, but just didn’t knock our socks off. We wanted that wow factor that the presentation suggested. We found it in the next dish. 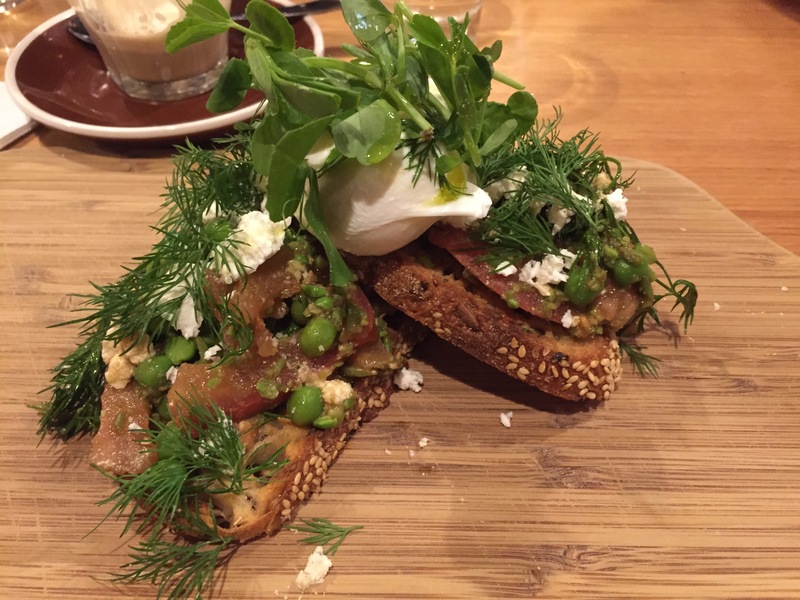 A mix of peas, dill and tomato with a poached egg. It was supposed to be served with goats curd, but they ran out and we went with feta instead. Luckily this dish was a bit of a knockout, a beautifully balanced mix of light, fresh ingredients, acidity and a hint of creamy. In fact the only thing that could have improved it was the goats curd, there was so little feta on the plate that it’s saltiness didn’t unbalance what was otherwise a finely tuned dish. Mister Close is the right locale for the city crowd, it’s polished and clean with some good ideas done well. It will certainly suit professional types or those looking for an escape from the bustle of the street.